Not sure if you need a filling? The symptoms of tooth decay aren't always obvious, particularly during the early stages. Dr.Michael Wing, your Huntersville, NC, dentist, shares a few signs that may indicate that you have a cavity. Pain in a tooth isn't normal and may be an indication that you have a cavity. If tooth decay is the reason for your pain, you may notice that eating sweet food or consuming cold foods and beverages worsens the pain. Biting or putting pressure on the tooth can also increase your pain. If pain is accompanied by a fever, or you notice pus, inflammation or swelling around your tooth, call your dentist immediately, as these symptoms can occur if you have an abscess. When acids eat away at your tooth enamel, they create holes. During the earliest stages of tooth decay, you may not be able to see these holes, but as the decayed area expands, the holes become much more noticeable. You may notice a black or brown spot on your tooth if you have a cavity. If thorough brushing doesn't remove the spot, chances are that tooth decay is to blame. Your toothbrush bristles may not be able to reach the holes in your teeth created by tooth decay. If food particles get caught in the holes, they'll begin to rot, which may cause your breath to smell bad. How can a filling help me? 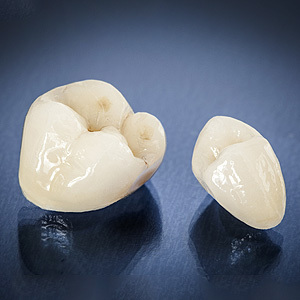 When you have a filling, your dentist removes the decayed part of your tooth and replaces it with a durable filling material that restores and seals the tooth. Once your filling is in place, you'll be able to eat without pain. Are you concerned about a painful tooth? Call Dr. Michael Wing, your Huntersville, NC, dentist, at (704) 997-8280 to schedule a dental exam. Restore your tooth with a filling!